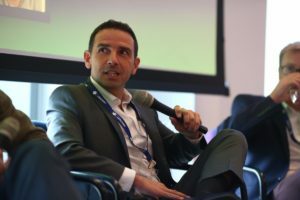 David Cipullo is the Vice President of BRAND Sales, Intelligence & Consulting and on the Group Management Board for the global sports marketing firm Infront Sports & Media. David started his career working for sports powerhouses like the US Olympic Committee and Washington Wizards NBA team, and moved into senior roles with Team Services LLC, a stadium naming rights agency, and Liverpool Football Club. And this Pro in sales shares what 21st century skill is needed for success: the empathy to be able to think like the client and anticipate their needs (sometimes before they even know it’s a need!). David is an exceptional salesman exactly because you never feel like he’s selling you anything. He’s not the too-smooth talker that you feel a little bit unsure about trusting. He’s never the pushy expert who knows best and forces his ideas on you. He’s just a funny, humble guy who genuinely cares. And that’s the reason David is so successful — he shows that he thinks about (and cares about) his clients when nobody else does. It’s easy, David notes, to congratulate a contact when they post on LinkedIn about their new job. You and 87 other people will be congratulating at the same time, though, ultimately minimizing your impact. That’s why David’s advice for how you can Level Up Your Leadership is this: Be there when nobody else is. That’s the secret to standing out from the crowd. You don’t want to be 1 out of 87; you want to be the person who the clients feel comfortable enough to confide in that they’re looking for a job… and then you want to be the person who helps them find it. Take, for example, the hand-written thank you note. Rarely does anyone take the time to write a hand-written thank you note in business these days, so that’s an exceptional act in and of itself. But David sends a hand-written note when he loses the sale. Because David is there when people aren’t expecting him to be – and they love it. Call it good sportsmanship or sales genius, David focuses on simply creating value in a long-term relationship. And sometimes that means thanking the client for the time spent together, even if this round wasn’t a win. Want to learn more insider tips on how to develop trust in sales and build long-term relationships that bring you success? 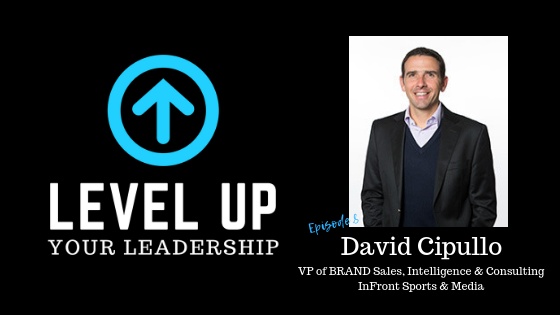 Be sure to listen to Level Up Your Leadership Episode 8 with David Cipullo here on iTunes or Google Play. If you enjoyed the podcast, please rate and review it on iTunes or Google Play – your ratings make a big difference in helping others discover Level Up Your Leadership. Want future episodes automatically delivered to your device? Be sure to subscribe. Thanks for listening!